This is a typical wonderful day here in Santa Clara, CA. Lovely afternoon to work on trees. Late September is the final time to set up my olives for winter growth. I had one last olive stump to open up. Originally the base of a 6′ tall wild growth, it has been reduced over the years. I have kept it cut back to create foliage near the stump itself. Years ago none of this material existed. Prior to wiring out the stump looks like a weird young tree with all the branches reaching for the sky, similar to all the young trees you see for olive harvesting as you drive south on Hwy 5. The goal of today was create depth, open the tree up for fall/winter sun and begin to give it a bonsai style. It is wired with copper wire in a caged fashion that will not bite into the thin olive skin. The wire will be removed in early spring as the tree begins its aggressive growth phase. 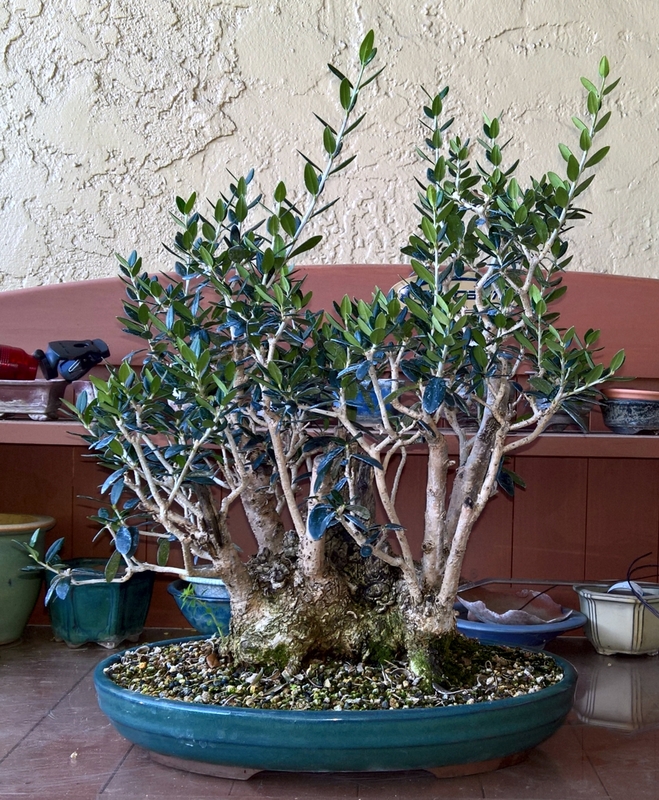 Olive stump prior to wiring and shaping. Lots of young growth low to the stump. 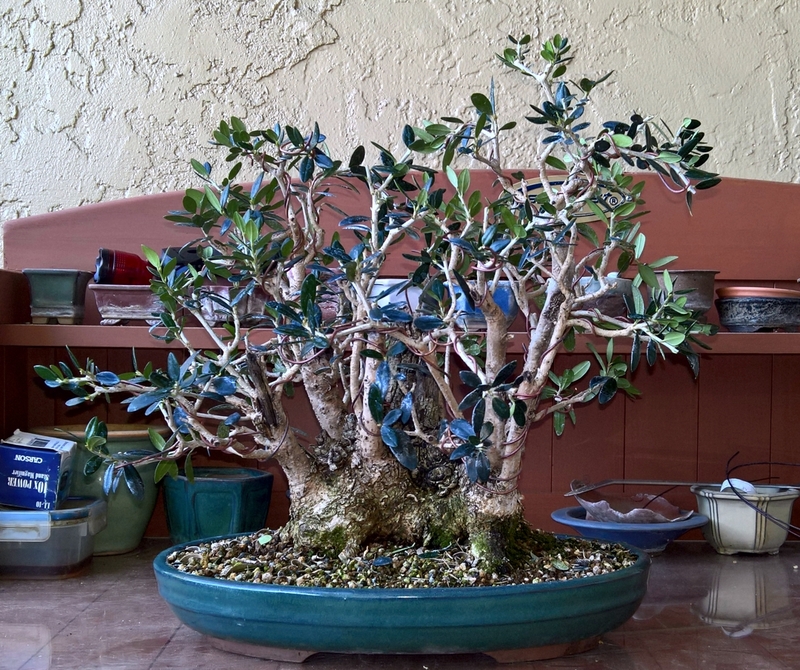 Olive stump after wiring and shaping creating much more depth and age to the tree.